If you’ve looked in the mirror lately and don’t like what you see, ask your dentist to change your smile. Today’s technology gives dentists the tools to help patients feel great about the way they look, reports the Academy of General Dentistry, an organization of general dentists dedicated to continuing education. “More and more patients come to the dentist because they are dissatisfied with their smile, wanting to look younger, more attractive and feel better about themselves. Many times they will bring in old pictures and ask if they can get their old smile back,” says Gordon Isbell, DMD, MAGD, a spokesperson for the Academy of General Dentistry. “Correcting patients’ smiles can give them a better self-image and more self-confidence.” In fact studies have shown that a person’s personality directly correlates to the attractiveness of his or her smile. A good smile is determined by the muscles around the lips, the size and color of the teeth, the facial structure and body appearance. Therefore, as the body changes over time, a person’s smile can change also. “I listen to a person’s chief complaint and then look at the whole package before suggesting a change,” says Dr. Isbell. 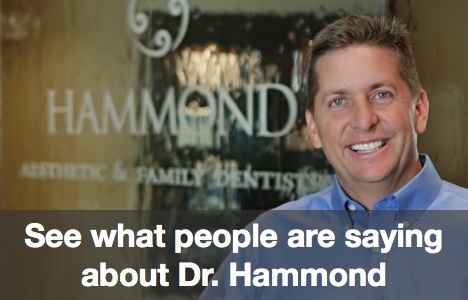 He uses an intraoral camera and digital imaging software to determine what type of smile works best for each patient. Then he shows the patient examples and uses models to show the end result. Another new direction to improve a person’s smile may include exercises, which develop and control facial muscles. Initial research shows that doing smile exercises for three minutes each day for 30 days could dramatically improve a person’s look. Try sitting in front of a mirror and practice smiling. First, progress from a smaller to a larger smile and then reverse the process, holding each position for 10 seconds. Another smile exercise is to make a full, big smile and holds the corners of the mouth firmly with the fingers. Then slowly close the lips back to no smile, against the resistance of the smile. The isometric exercise increases the tone and strength of the muscles around the mouth.